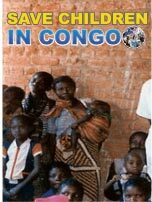 We are a non profit and charitable organization striving to restore the image of God on mankind by assisting and bringing hope to at risk children, generally called "street kids"in USA and in the Congo DRC. our mission is to ensure that all children of any neighborhood, especially orphans and less fortunate abandoned children are given a chance to become a positive, active and vital part of our society. With this in mind, our vision is to contribute to the abolition of worldwide juvenile delinquency as well as different crimes that young people are involved in today. We have a great need to build an orphanage for the congolese orphans under our care. Below is the land we possess to build an orphanage, a school and a health facility for our orphans in the Congo DRC. We need your support and contribution to make this project a reality. Please, contact us at your earliest! The building of this orphanage will help decrease the number of wondering orphans on the streets of Congo and allow us to closely monitor and manage their progress, while providing them with a secure place to live they can call "HOME", as well as an adequate education for self sufficiency. Please donate today and become a benefactor as we continue saving the lives of street children in US and orphans in the Congo DRC. For your gift to save a life, please click on Donate below and securely donate using PayPal; or go to donate today and choose a different way to send your donations. Thank you in advance for your caring heart!